Robin: Batman's brilliant protégé. Starfire: cheerful Tamaranean princess. Cyborg: half robot, half human, totally awesome. Raven: mystical daughter of a demon. Beast Boy: shape-shifting teen who can transform into any animal. 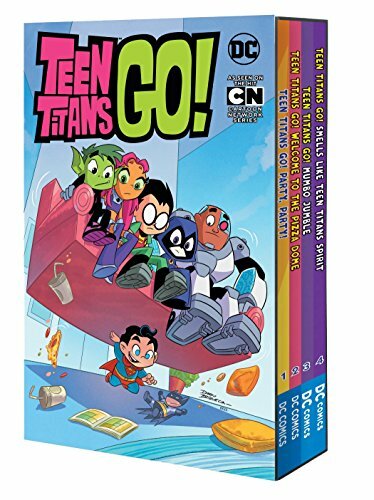 Together, they are the Teen Titans! This superhero team is always getting into crazy hijinks--whether they're battling a pizza monster, taking on punk-rock supervillains, or sneaking into the Batmobile for the world's coolest roadtrip. Catch up on all the wild adventures of the Teen Titans!